Save thousands buying Foreclosure and pre-foreclosure property. Thanks for visiting. I have created a free, no-obligation Foreclosure Finder Service for Pocono Bank owned properties. In less than 10 minutes I can help you set up a list of all the bank owned homes for sale and REOs in the Poconos. Our Foreclosure Finder Service gives you access to inside information normally available only to real estate agents and industry insiders. From the privacy of your own home, you can study, compare, and drive by the properties. When you find a bank-owned home you’d like to see, all you need to do is pick up the phone, give me a call, and we’ll make the arrangements with the bank to get you inside the property at your convenience. As you see, there’s a lot to cover here. 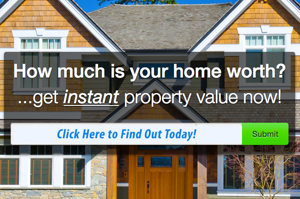 And we've made it easy for you to get more information and listings that matches your criteria. Simply request the information from me. Don't pay any subscription fee to get list of foreclosure homes. My list is available to you free from me just for asking. Below you will find some of the Foreclosure and Short Sale homes available. Foreclosures are bank owned and ready for purchase but Short Sales (pre-foreclosures) are in a completely different category and patience is needed if you wish to purchase one. The process can take months.